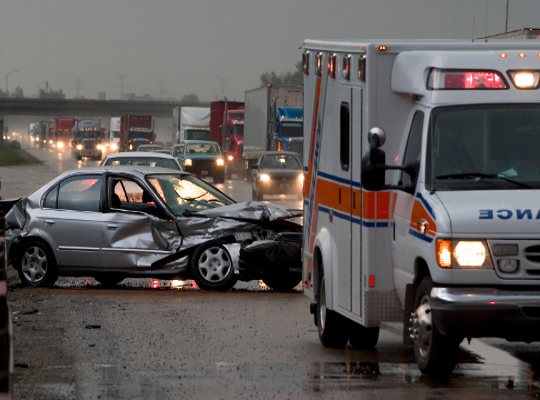 The most common type of personal injury claim is the auto accident claim. Common doesn’t necessarily translate to simple, however – there are so many permutations that can arise in the context of a motor vehicle accident claim that unless you swim in those waters on a regular basis like an insurance adjuster or personal injury attorney, it can make your head spin. Let our auto accident lawyers make it clear and concise what to do. Our auto accident lawyers access that the two most basic elements of any auto accident claim (or any personal injury claim, for that matter) are liability and damages. Liability is the question of who was at fault in the accident. A good indicator of who was at fault in a motor vehicle accident is generally who received the ticket: if somebody pulled out in front of you at an intersection causing an accident, they were likely ticketed for failure to yield; if somebody rear-ended you while you were stopped in traffic, they were likely ticketed for distracted driving or following too closely; losing control of a car on an icy road and striking another vehicle can result in a citation for driving too fast for conditions. Liability in car accident cases is not always as clear cut as the foregoing examples, however, and sometimes the actions of both drivers can be considered negligent, contributing to an accident to different degrees. When faced with a claimant who is representing themselves, insurance companies may attempt to argue that the claimant was contributory negligent in the accident, or even entirely at fault, regardless of whether the facts of the case support such a position. You should always consult our auto accident lawyers for a clear, unbiased picture of liability in your case. Damages are self-explanatory – they include your medical bills, your pain and suffering, disability, disfigurement, permanent impairment, lost wages, property damage, etc. Damages must be properly documented and claimed for an insurance company to consider them when placing a value on your personal injury claim. If your damages are very minor, you may be better served by representing your own interests; however, if you have significant injuries, hiring an experienced and aggressive personal injury attorney early on in your case is the best way to ensure that you receive fair value for your claim.